What’s New in Dental Technology? 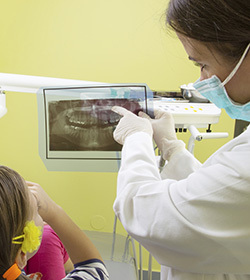 The standard X-ray is essential in determining any dental problems your child may have, but unfortunately, it may not reveal everything happening inside their mouth. We are proud to utilize intraoral camera technology in our office. How Do Intraoral Cameras Work? An intraoral camera can project an image of your child’s tooth onto a monitor, so that Dr. Rohner can see any problems in magnification. It can also identify problems that may not be detected by the general means of examination, including cracks in old fillings or fractured teeth. 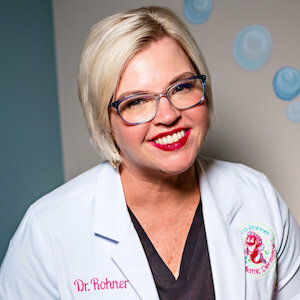 Similar to the size and design of a dental mirror, an intraoral camera allows Dr. Rohner to make better decisions regarding your child’s treatment. We also offer one of the latest technological advances in dentistry with digital radiography, also known as digital X-rays. A wireless sensor is placed in the mouth and a computer generates an image in 30 seconds as opposed to the general 4-6 minute wait time for images taken on dental film. These X-rays can also be enhanced and enlarged on a computer. Not only are they friendly to the environment, but they are also much safer than traditional X-rays. Digital radiographs reduce radiation exposure by 90%! For decades, dentists stored patient records on pieces of paper filed in folders and stored on shelves. Not anymore. Now, all patient information is stored in electronic medical records on computers. Children’s personal, dental and health information is typed into our computers and is kept there safely. And these records can be easily and securely transferred to another healthcare professional if necessary. Our computer system also handles scheduling and billing accurately.